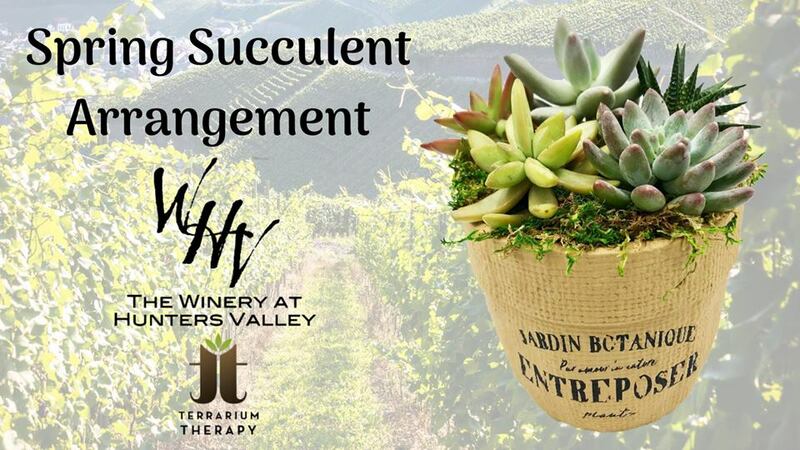 Join us for an afternoon of creativity, succulents and wine! In this workshop you will create your very own beautiful spring time arrangement in a classic ceramic planter measuring 5.5″ high x 7″ wide. Price includes all materials to make this arrangement: 3 succulents, decorative mosses, stone, and greenery. Workshop fee also includes a wine tasting!